Closeup Clear wooden studio background on white background – well use for present products. AM I ANGRY? YES, I AM ANGRY AT YOU this morning! Why do You let us suffer? Are we ever to learn obedience by the things we suffer? Evidently not so. The more we suffer the further we get from You. Guess we are still in the state of Cain. And in the course of time Cain brought to the Master an offering of the fruit of the ground. But for Cain and his offering He had no respect or regard. So Cain was exceedingly angry and indignant, and he looked sad and depressed. And the Master said to Cain, Why are you angry? And why do you look sad and depressed and dejected? If you do well, will you not be accepted? And if you do not do well, sin crouches at your door; its desire is for you, but you must master it. And Cain said to his brother, Let us go out to the field. And when they were in the field, Cain rose up against Abel his brother and killed him. Why am I angry? Hello Cain within me! Here I woke up this morning angry at You. Why? Because my Internet was re-connected yesterday. I had nearly 1000 emails. Not a single one a personal email to inquire about me. It seems like I don’t exist to my family & friends. Me? My carnal human nature? I blame it on You. Yes, You know it. You know that I am angry and so are You. We are at the times of Noah, but! No one seems to care. My heart is full of joy and gratitude because of Your mercy to give us an opportunity to prepare for the future destruction coming to us, but! No one responds. Not even Ahmad is seriously joining me in obedience to Your word. Ahmad? He is too busy with what seems to be ‘Important’ to him, like getting me honey & whatever to appease his conscious for not responding to the voice within me. Gen 6:11 The earth was depraved and putrid in God’s sight, and the land was filled with violence (desecration, infringement, outrage, assault, and lust for power). End of quote. The truth is, You have brought me to the point of sitting still. To the point of letting the blind follow the blind. I am perfectly content up here in my place of spiritual quietness or peace that surpasses the human understanding. No human being can connect with this state of my being unless, You open their eyes & ears to see & to hear You and Your voice as I see You & hear Your voice. THAT’S WHY I am angry at You! Because it seems to me, You have not done so. Coming to terms with the truth You have revealed to us all, I am no longer angry. Thanks, my Father. You always speak to us all, not just to me. It looks most everybody either ignore You or attribute to their credit whatever they hear. I don’t mind saying it but! I do like people telling me “awesome” for everything I write, but! O well, it bothers me, because I do not write from my head smarts—I do not deserve the ‘awesome’ they give me. Or, perhaps they are not awesome ‘me’? Perhaps I am only attributing the credit to myself? Mea culpa! I am the guilty one. Mercy, my Master! Well, it’s the middle of the afternoon. Ahmad promised to come this afternoon. Yazeed promised to come as well. Would they come? Maybe yes. Maybe not. They do not know how to keep their word. I am finally getting to terms with such behavior. I no longer fret about it. Ha! Neither Ahmad nor Yazeed showed up just like I figured they wouldn’t. It did not bother me. I waited and waited. Finally, around 8 pm little Ephraim showed up with my jars of honey. Hahaha! So much love in the family! Wonder what wonder You have in store for me on this day You have made for me and, for all! You rain on the just and the unjust. Ah! It just came to me. Publish today. Publish what you wrote since yesterday and announce the soon to be publish, LOVE—The End Of The Matter. 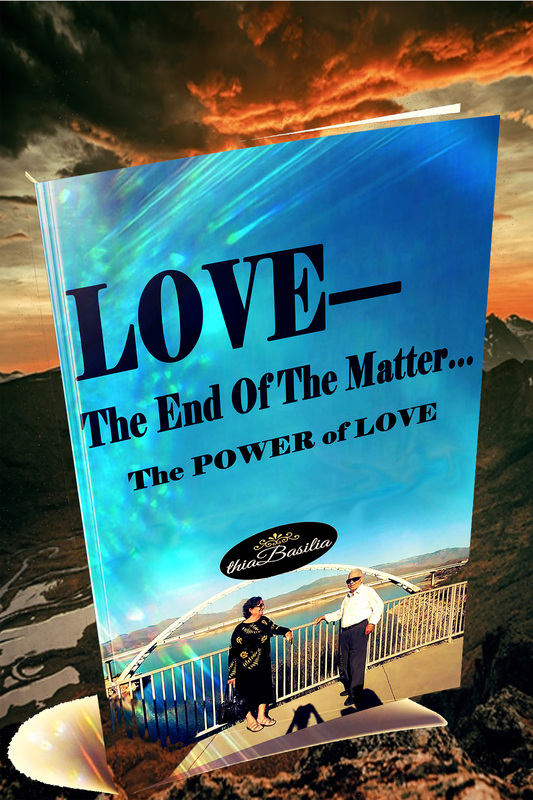 The Power Of Love. Phew! Guess I am not angry at You anymore. Guess I am not angry, period. I was angry at You. Angry at everyone else. I resolved never to speak or post or visit or go out of my place ever again! But, You are so good! Now I can face the world because You live. Because You live, I can face today, tomorrow and, my eternal future. Because You live, all fear is gone! Christian, Father/Creator, love, poetry, Pondering, Real Life, The Truth to Set One Free!, True Story, Truth, unique posts AM I ANGRY? YES, I AM ANGRY AT YOU this morning! Why do You let us suffer?